To learn more visit cancersucks.com. Four years ago today, I wrote a post called 21 Words, which I still think is the best piece of writing I’ve ever done. It came from a pretty dark place – I was heading in the next day for a huge, life-threatening, life-changing surgery to battle esophageal cancer, and it does a good job of summarizing my life up to that point, I think. It also offers a lot of advice to the future me about how to live a better life should I actually, you know, live. To sum them up they would be: don’t be so afraid, take more chances, and be passionate about things. I may not have totally lived up to that in the last four years. I’m still a creature of habit and inherently lazy when it comes to making change, but in the last four years I have traveled more, written more (published a novel and on my sixth movie), opened myself up a little more, and gotten involved more so I think I’m doing pretty good. To mark the anniversary of my four years post-surgery and a little more than three years in remission, I am going to be making all of my 50x50x50 donations this week to various cancer charities. The first one is Stupid Cancer. Founded in 2007 by Matthew Zachary, a young adult brain cancer survivor, Stupid Cancer has become the largest US-based charity that comprehensively addresses young adult cancer through advocacy, research, support, outreach, awareness, mobile health and social media. The organization has proudly emerged as the dominant support community and social influencer for this underserved population and now serves as a bullhorn for the young adult cancer movement. Stupid Cancer proudly supports a global network of patients, survivors, caregivers, providers and advocates to ensure that no one affected by young adult cancer go unaware of the age-appropriate resources they are entitled to so they can get busy living. Our innovative and multi-award-winning programs—such as CancerCon, Instapeer, The OMG! 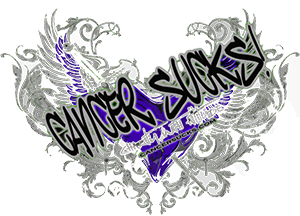 Cancer Summit for Young Adults, The Stupid Cancer Road Trip, The Stupid Cancer Store and many others—have brought the cause of ‘cancer under 40′ to the national spotlight and rallied a brand new generation of activists to give a much needed voice to our forgotten population. To learn more visit stupidcancer.org. Those of you who may have known me back in junior and senior high should probably know that I was bullied… a lot. I was fat, so that made me an immediate target, and I wasn’t exactly the definition of manliness, which didn’t help. I was beat up, teased, taunted, called every name in the book, and just generally made to feel like crap on most days. Bullying doesn’t just make you childhood difficult, it makes your entire life harder. The self esteem issues it creates can last a lifetime and to this day I still battle some of those demons that came into my life when I was young. PACER engages communities to recognize that bullying is a behavior that has affected too many for too long. Preventing bullying begins with creating social change with bullying being recognized as a serious issue that impacts educational performance, physical and emotional health, and student’s safety and well-being. PACER activates individuals to take action — on both a personal and community level. Everyone can participate in signing a petition, sharing their own story, or contributing a message to “I care because.” They can also coordinate and participate in high profile events such as National Bullying Prevention Month in October, Unity Day or a Run, Walk, Roll Against Bullying. To learn more visit pacer.org/bullying. This is not a charity, per se, but rather to support a California ballot initiative. Normally, I’m dead set against the propositions. I do not believe that a 50% + 1 vote, which represent a tiny fraction of the state’s population, should be making decisions that affect the entire state’s population and sometimes beyond. People, as we all know, are often ill-informed and/or easily swayed and should not be put in charge of this kind of thing. This is why we have a representative form of government. But sometimes a proposition comes along that I feel very strongly about. There are a few on November, 2016′s ballot including proposition 62, which would abolish the death penalty; proposition 64, which would legalize marijuana sales in the state; and, the topic of this post, proposition 63. The measure would prohibit the possession of large-capacity ammunition magazines and would require most individuals to pass a background check and obtain authorization from the California Department of Justice to purchase ammunition. I am one of those liberals who wants to take your guns – freely admit it. I think the world would be a better place if all guns were rounded up, melted down, and turned into playground equipment. The second amendment is an antiquated idea based on the realities of the world 240 years ago; an idea that is just as out of touch with current realities as the idea of black people only being counted as 3/5ths of a human being or women not being allowed to vote. We changed those things when the world evolved. Why can’t we do the same with the second amendment? Having said that, I understand that this is not something we will ever achieve, at least certainly not in my lifetime. So instead of advocating for an unrealistic nirvana, I will advocate to pass as many restrictions on the sale and ownership of guns as we can get. Proposition 63 will not solve the problem – it may not even help the problem all that much – but if anyone is stopped from buying ammunition that would have otherwise gone on to kill someone(s) it is absolutely worth it. Join the cause at safetyforall.com. It’s our belief — and our experience for the past 30 years — that the path to change starts with individual supporters. To learn more visit compassionandchoices.org. Bill mentioned that Hillary worked for the Children’s Defense Fund, the child advocacy organization that has worked relentlessly for more than 40 years to ensure a level playing field for all children. We champion policies and programs that lift children out of poverty; protect them from abuse and neglect; and ensure their access to health care, quality education and a moral and spiritual foundation. Supported by foundation and corporate grants and individual donations, CDF advocates nationwide on behalf of children to ensure children are always a priority. We are a national organization with the capacity to work for children at federal, state and community levels across the country. We have our headquarters in Washington, D.C., and offices in California, Minnesota, Mississippi, New York, Ohio, South Carolina and Texas. Through these offices, we expand our work into North Dakota, South Dakota, Iowa, Alabama, Georgia, Arkansas, Louisiana and New Jersey. CDF Haley Farm in Clinton, Tenn., is our home for spiritual renewal, character and leadership development, intergenerational mentoring, and interracial and interfaith dialog about children’s issues. To learn more visit childrensdefense.org. The mission of Dizzy Feet Foundation is to improve and increase access to dance education in the United States through grants which support programs serving low-income populations and educational institutions working with talented individuals. To sponsor, fund, and/or support dance education programs which expose children in low-income areas to the lifelong benefits of dance education through and with local community organizations. To provide scholarships to talented students studying at accredited or nationally recognized dance schools, studios, or institutions. To support and increase the quality of all styles of dance education through professional development opportunities for dance educators in conjunction with recognized credentialing organizations. To learn more visit dizzyfeetfoundation.org.